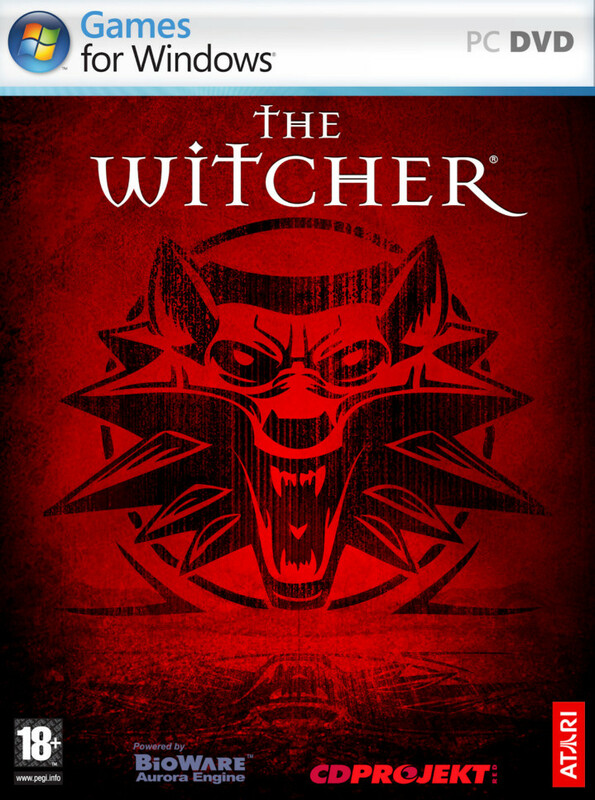 CD Projekt's The Witcher has been in development for over five years now, having originally started its development cycle on the team's own technology before heading to BioWare's Aurora engine after a successful meeting with EA's new squeeze at 2003's E3 event. The game first debuted to a select few at BioWare's E3 booth back in 2004, which I was lucky enough to be invited to. It's been a long time coming, but after putting 20+ hours into a near final build of the game, I can kick back and say with confidence that it was worth the wait. Before going any further, let me first just say that I have no idea why the game was ever coined as an "action RPG." Sure, the combat requires some (carefully timed) mouse clicking, but the team was clearly aiming for a classic role-playing experience. This is a story-driven game with a significant amount of dialogue, a multitude of quests, a surprisingly thorough and intricate journal system, and a vast assortment of character development options. You have to put a considerable amount of thought into many of the choices you make in the game, so hopefully nobody out there is expecting a Diablo clone or something similar from The Witcher. If so, scratch the game off your list and save yourself some cash and the subsequent disappointment. If a classic single-player CRPG experience is exactly what you're looking for, then you're in luck. The game begins at the abandoned castle of Kaer Morhen with you assuming the role of a witcher - a professional sword-wielding monster slayer - known as Geralt of Rivia. You were found near death by a fellow witcher and have been brought to the castle for recovery. The whole experience has left you with amnesia, meaning that the stronghold basically serves as the game's tutorial section. Thanks to an attack by a sorcerer and his small army of Salamandra thugs, you'll be able to relearn how to utilize the game's three primary combat styles and make use of its alchemy and sign systems (more on these later). After the castle has been not-so-successfully defended, the witchers part ways and you'll find yourself outside the city of Vizima where you're able to go about adventuring on your own. The main storyline seems to be fairly linear, but there's nothing stopping you from doing side quests, fighting monsters, ransacking villagers' homes, harvesting herbs, and generally exploring before moving on to each step of your journey. Control over Geralt can be done from one of three selectable viewpoints - high isometric, low isometric, and OTS (over the shoulder). The high and low isometric viewpoints could best be described as Neverwinter Nights with a zoomed out or zoomed in camera (respectively). OTS places the camera just behind Geralt's left or right arm (whichever you prefer), providing a clear view of everything around you and putting you closer to any combat that takes place. In fact, it's the only viewpoint that will let you see the sky or ceilings. Having tried all three, I finally settled on the OTS viewpoint simply because the game looks better and I feel like I have a better awareness of my surroundings as I travel. While I'm on the subject, let me also say that the graphics in The Witcher are easily some of the best I've ever seen in a role-playing game. The game might be powered by a 2007 version of BioWare's Aurora engine, but it's leaps and bounds beyond Neverwinter Nights. Using my main gaming rig (which runs Vista and sports a quad-core processor and a GeForce 8800 Ultra), I'm able to play the game at a very high resolution of 2560x1600 with all other graphical settings set to maximum and it looks nothing short of amazing. Smoke billows out of hut chimneys, water laps upon the beach, and light from campfires and torches dances realistically on any nearby objects and buildings. The day/night cycles are particularly worth mentioning - there have been several times that I've literally just stopped to watch the incredibly lifelike sunrise and sunset. Once the sun goes down, the whole countryside is cast into darkness (aside from guards' torches and the light streaming from the windows of inhabited structures) and you'll find yourself using the moonlight or swapping your sword for a torch in order to navigate properly. Obviously, the system I quoted above is on the high end, so I also loaded the game on my nearly three-year-old Windows XP system with an FX-57 processor and a GeForce 7800GTX. The game still ran great using an above average resolution of 1920x1200 and mid-range graphical settings, which is good to know for those of you planning to install the game on an older system. It's also worth noting that the game ran without a single bug, crash, memory leak, or otherwise unwanted problem on both XP and Vista. Given the experiences I've had with other games on Vista, I'm very happy to report that CD Projekt seems to have conquered both operating systems equally.